Rux Martin/Houghton Mifflin Harcourt, 9780544005037, 22pp. "Smart, fun, enlightening, and refreshingly free of snobbery." 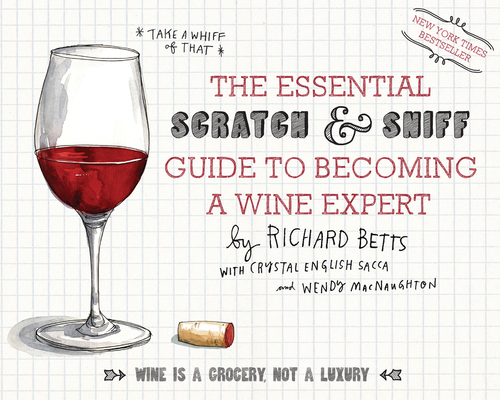 "The master sommelier Richard Betts’s clever new scratch-and-sniff book is likely to broaden the novice’s appreciation of wine, explaining how aromas relate to different varietals.... A useful chart that ties bouquets to wines is tucked inside."